The stunning short projection Cruze basin with floor mounted full pedestal, transform your bathroom with one of our contemporary designer basins. 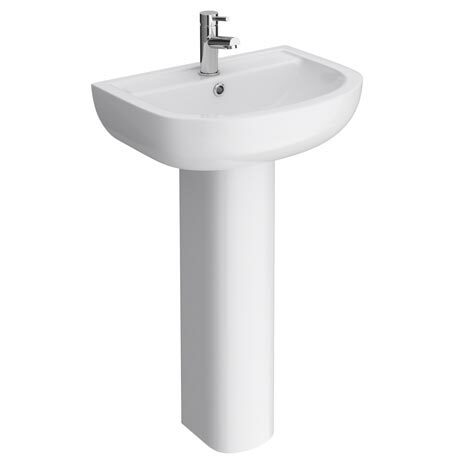 Features a stylish soft curved design, it's space saving wash basin only projects 420mm from the wall making it ideal for smaller bathrooms, en-suites and cloakrooms. Please note - Tap and waste not included.